This year’s Rolex 24 offered up some good action on track, but was hampered by a torrential downpour for nearly 12 hours. Many of those yellows brought out the safety car, and twice made the red flag fly. 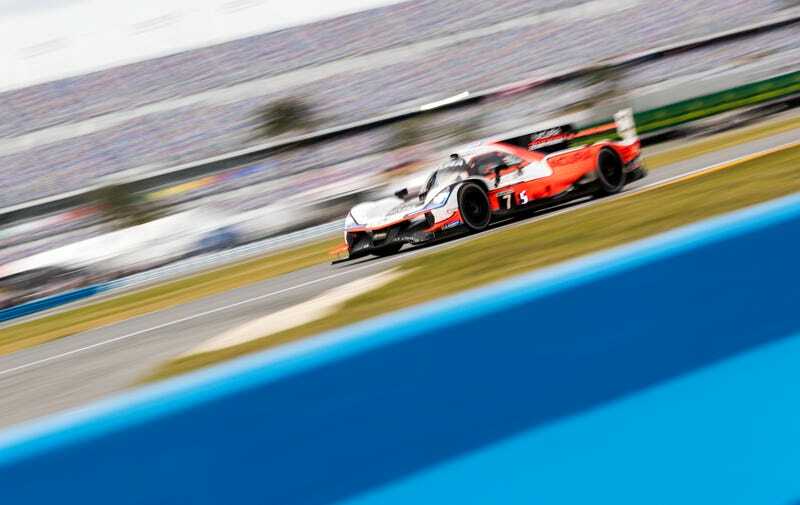 Sadly the racing over the final few hours was building up to be exciting between the Wayne Taylor Racing and Action Express Racing Cadillac DPi-V.r duo, and a Team Penske Acura ARX-05 in third before a final red flag ran out the clock. Race officials ended up calling the race with about ten minutes to go, when it was decided the wet conditions wouldn’t improve enough to safely finish at speed. Fernando Alonso won yet another 24-hour race, with his Cadillac being the lead car when the red flag came out on final time, collecting a shiny new Rolex on Sunday. I was on the ground Friday through Sunday, somehow managing to avoid Florida Man, and brought my camera gear along for the fun, supplying you all the pictures you crave.